Lakshmi is a thirteen years old “hill girl” from a small mountain village in rural Nepal. She lives together with her mother, stepfather, a small goat and a small baby brother in a hut that can not protect them from the rain. Nonetheless she and her mother excel at finding the simple pleasures in live even if the step father gambles away all their money every night… A bad man is better than no man. After a especially rainy monsoon that washed away all of the family’s crops Lakshmi’s stepfather tells her that she’ll have to go to the city and find a job as a maid to support the family. With the picture of gaining enough money to buy a tin roof Lakshmi willingly agrees and is thankful that she can help her Ama. What she doesn’t know is, that her new Auntie Bimla never intended to find her a job as a maid. Instead she brings young Lakshmi to happiness house in India. Lakshmi faces an unbelievable fate: she has been sold into child prostitution. Patricia McCormick who worked together with Amnesty International and Survivors themselves manages to write a nearly poetic book about a traumatic experience. The book is written in Lakshmi’s voice as she writes down daily what happens. How she is treated, used and betrayed but also how she finds friends and laughter and in the end a ray of hope. 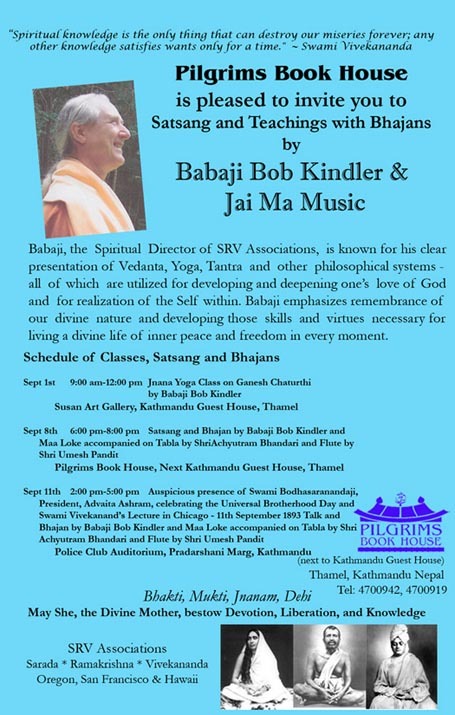 So friends, please visit us, when you are in Kathmandu. Myself, Rama Nand from Kashi. Unconditional love and laughter is essence and message of my life. ‘Sanatana Dharma’ (Eternal Truth) as envisaged by the ancients was a universal, perfect and integrated way of life. Those who accepted its wholeness and integrity, themselves lived their lives in a compact and undivided manner above issues of self and humanity. The sentiment I experience of this universal and eternal heritage that I inherited from my ancestors and parents, gives me solace and contentment. In this state of harmony I often ask myself whether I have a role in refining and preserving the nobleness and quality of this heritage that I inherited so easily. The question is to and from my inner self. So the answer is to be given to and from my inner self, not in words or speech, but through my own complete conduct of thought and action. That is why I always feel that I am under examinatiom. But even under these circumstances I never forget that I am a devoted ‘Sanatan Dharmee’. I was born on the 11th of April, 1957 (the centenary of India’s first freedom-struggle) into a Brahman family in the small village of Bether (the ancient name was Brahmsthal), situated in Unnao District of Uttar Pradesh. The most famous and distinguished astrologer in my district at that time Pandit Shankar Dayal Shukla (he was popularly known as Rajwa Chachchu) made my birth-chart. He wrote “The planet Jupiter is situated at its highest place in the child’s horoscope which specially affects his future. This child will achieve the ultimate peak in whichever field he chooses in his life. Even the obstacles placed in his way by his enemies will prove beneficial for him.” Since that time till the present at the age of 55 years this prophecy has proven itself true. My father Shree Chandra Shankar Tiwari was a spiritual householder and a very practical, holistic and organic farmer, who followed the ancient and great Vedic precepts of agriculture. His laboriousness, tolerance, feelings of generosity and concern for others as well as his pure devotion towards the ultimate God made him a man without enemies. My mother Shreemati Devki Tiwari too was a religious, virtuous lady, a replica of true motherhood. She showered her blessings not only on her own children but equally on all other children with true love and affection. These noble virtues of my parents were spontaneously and inseparably inherited by me. My wife Shreemati Puspa Tiwari is also a very simple, polite and well cultured woman enriched with pure Sanatana values. Today I have attained the feeling of freedom, self-dependence and wholeness only because of her continuous encouragement and inspiration. I have four wonderful daughters—Sangya Tiwari (Sangam), Pragya Tiwari (Chakori), Elizabeth Tiwari (Mukku) and Kahani Tiwari (Gunja). They are all equipped with these values and well settled in their respective fields. Similarly my ‘Manas Putra’ Kailash, who is for me a liberator like Mount Kailash, always inspires me to move ahead on the path of truth just giving a message of ‘Ekla Chalo Re’ meaning “walk alone”. In the same way your divinity is within you, make it awake and realise the light. I have always been polite and very sensitive since my childhood paying regards to parents, teachers, elders and even to children. In return I always received their blessings, love and affection. At the age of fourteen I started working with a mission of doing selfless service to society. To earn my livelihood I started tutoring young children while working in a bookshop (Universal Book Shop, Godowlia) as an attendant. The owner was pleased to see my devotion, and readiness to work. At last one day he called me and asked, “You are the son of a Brahman. How is it that without a thought you happily brush and sweep up the shop to clean it? Being a Brahman don’t you ever feel any kind of aversion to it?” I answered him with pride-“Sir, there is no reason for me to feel any aversion. I believe that work is worship and that cleanliness is next to Godliness. Sir, as you see me as a Brahman, please also realise that it is my duty to renounce my ego and sense of prestige to maintain an outer cleanliness and purity of the inner-self.” It is my eternal sacrament that offered me a chance to prove my ideals in the role of an attendant. So too mines full of precious stones. But satisfaction with what one has is the greatest treasure of all. Holistic knowledge is so easy to gain. Should be used in the compassionate service of others. Wanton man once gripped with greed, illusion, pride and misconduct, creates various types of worries and difficulties for himself. Still he is not willing to distance himself from sensuality even though sacrifice of his sensuality is the only way to liberation. Place your full trust and devotion in the supreme God and do all your acts without any desire this makes a man qualify in this worldly ocean without any trouble. Life is not just a means to survive. It is a divine festival. Let us all come forward to cultivate this ultimate truth with love, peace and prosperity to share its essence among all. One who remains unchanged with the feelings of happiness or sorrow is really brave in the true sense. No desire is left if one completely surrenders oneself to the devotion of God. That means only one desire is left that is to wish for Godly devotion. Wake up! Dear Brothers and Sisters. The joke is that, the values of freedom, ultimate reality, strength, wisdom and knowledge that filled Sanatan traditions are now lacking everywhere and are now found only in songs, legends, scriptures, lectures and speeches. These virtues and values are now missing in everyday life. Therefore let us wake up with courage. Remember the infinite energy source of the Supreme God, true saints, leaders, teachers, brave warriors. Follow their path to make your life fruitful with new innovations, skills and achievements for the welfare of mankind and nature. Keep yourself away from the feelings of laziness, cowardice, selfishness and mean mentality to make mother earth more tender, prosperous and great. Fill the environment with the coolness of nobility. Feel the blossom of flowers being touched with cool air spreading their fragrances making them easily available to all. It’s a matter of regret that today’s Brahmans are attracted more towards power, name and fame, glamour and luxurious lives rather than spiritual endeavours. 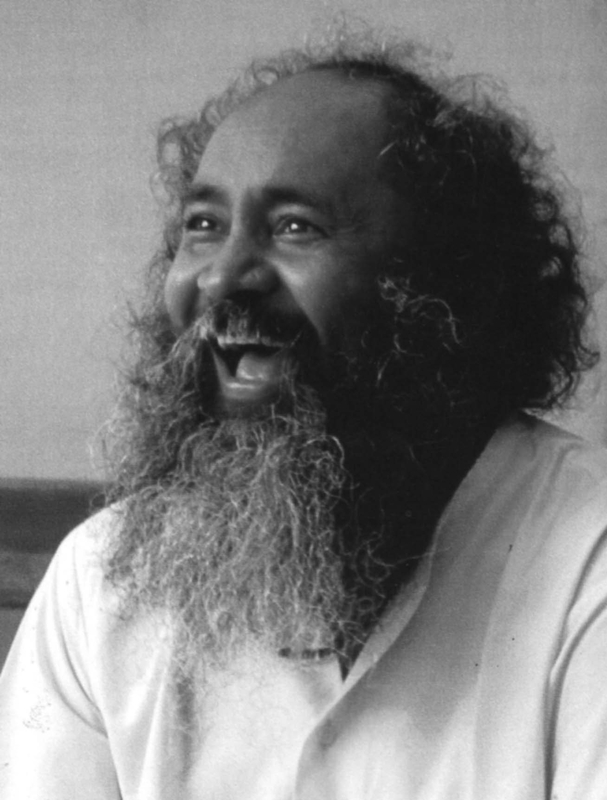 Thus the Sadhu Samaj (religious and spiritual community) is diverting from its main path and focusing on establishing their identities by increasing the numbers of their disciples in their networks with all their time and energy, whereas they should firmly stick to the path of spiritual practice, which entails sacrifice along with simplicity to achieve the ultimate reality. The route to ultimate reality has no luxury and pleasure. This is a lonely path and each of us has to move alone. Constant and honest practice is the key to success. 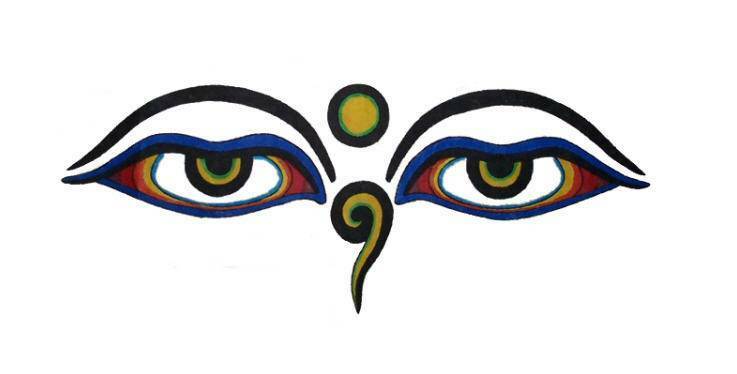 Until one refines the self one cannot achieve this consciousness. Who can aim with the arrows of words in the darkness of ignorance? Our political leaders, chosen by us to make important decisions for the betterment of society and nation, are all busy accumulating our nation’s wealth, power and luxury for themselves. Ready to do anything, say anything, mix with anybody to hold on to their vote banks, none it seems is interested in Sanatan Service, its Values, human nature and the cosmos. The status of each person is no different to any civil servant, however important or insignificant. We are all here basically to serve humanity according to our individual capacity. We have to take extreme care in how we select the way in which we organise our work and also how we process it and bring it to fruition. We should not act in a way, which brings only feelings of guilt or sorrow. It may appear contradictory and confusing when we hold a meeting to call for peace and prosperity, whilst we still create more and more weapons of mass destruction, or put forward plans for developing nuclear power and at the same time destroy our natural resources by cutting down forests or using artificial fertilizers and other unnatural means of cultivation and production and this all in the name of progress. All functions, festivals and rituals are meant to celebrate good deeds and thoughts. In the absence of knowledge, wisdom and experience all such festivals and rituals. are fruitless. We are surrounded with capitalists, businessmen, pleasure-seeking saints, industrialists and politicians who are openly exploiting the society with their misconduct and dishonesty. They misuse their money and power to increase starvation, poverty, unemployment and ignorance. In the absence of proper and positive understanding along with sharing of the divine powers all our love for the true nectar is slowly being destroyed. A micro spark can be the cause of a huge and dangerous fire similarly a very small good thought can bring a great revaluation of the society. O’ Man! You are nothing but a very small drop of ice. You may not have any kingdom but at least you can cause any flower or leaf to shiver. This message from my inner-self inspires me with a great strength. When life itself is not stable then what can one say about the future? We have borrowed a few limited breaths from Yamraj (God of Death) to live our lives. Where will we go once this loan is repaid? Who knows? But death will certainly come. Those who are proud of their nuclear strength will also face death one day. Hence realise the presence of God in your inner-self. God is omnipresent. Imagine the achieving of a ‘new-life’ earned with the strength of eternal practice and intuitive intelligence. Firmly believe that my modesty is immortal. My modesty is my soul which is immortal because its life is devoted to others and not to the self. The sentiments of benefaction and modesty lead us towards the divine strength, good-deeds, beauty, courage and strength. With holistic thinking and intelligence we come to a state of equality and harmony, where the pure intention and holistic ingredients together help us to gain victory over the cosmos. The basic root mantra is to win the heart with pure love. Love is greater even than the scriptures or weapons. So, let us live and let others live with love and good conduct. Let us all say—victory of ‘Sanatana Dharma’ is the victory of truth. Truth is the victory of one’s inner self. Let us embrace together truth, beauty and bliss. 10 We Are Atman All-Abiding: 108 Verses on the Atman, the eternal Essence of Consciousness pervading everything. 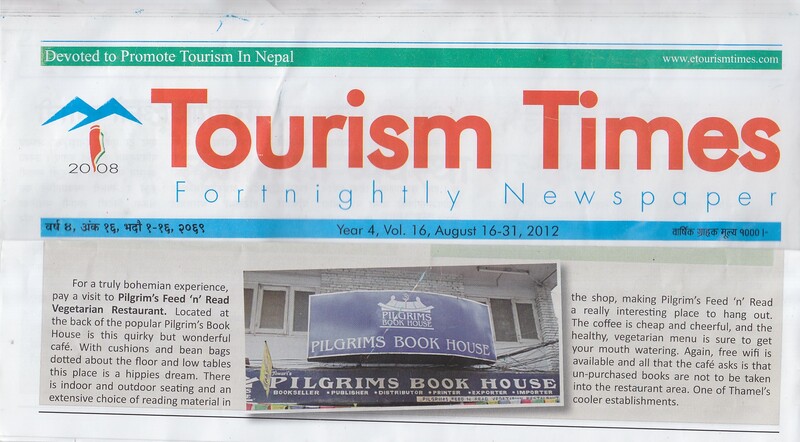 Thank you for visiting our most beautiful and vast Himalayan country Nepal. We will appreciate if you can send us your thoughts and experiences either in the form of poetry, prose, drama or jokes. And please let us know how we can help to our people and environment of sacred mountain. Your visits, cooperation, contribution and blessings have always been helpful to our mystical and magical Nepal – “Never End Peace And Love”. We are responsible for our own deeds. Love is the ultimate. Himalayas teach us Satyam Shivam Sundaram. May the Dhamma (meditation and unconditional service), Karuna (compassion) and Metta (unselfish love and kindness) be the greatest blessing in our lives. We hear sage’s, yogi’s and wiseman voices across the ages. Simply do it, practice or meditate for its own good. Abstract: This is the biography of Bharat Dutta Koirala, a winner of the 2002 Magsaysay Award. The book gives us a rare glimpse of the media during the Panchayat era of Nepal, seen through the lens of career of the author. The author cuts out a world in which Bharat Dutta Koirala, takes up significant leader-manager roles. The narration is gripping, coherent, and lucid. Remarks: B/W Photographs, Bibliography and Index. Please CLICK HERE to get more information and to place order.